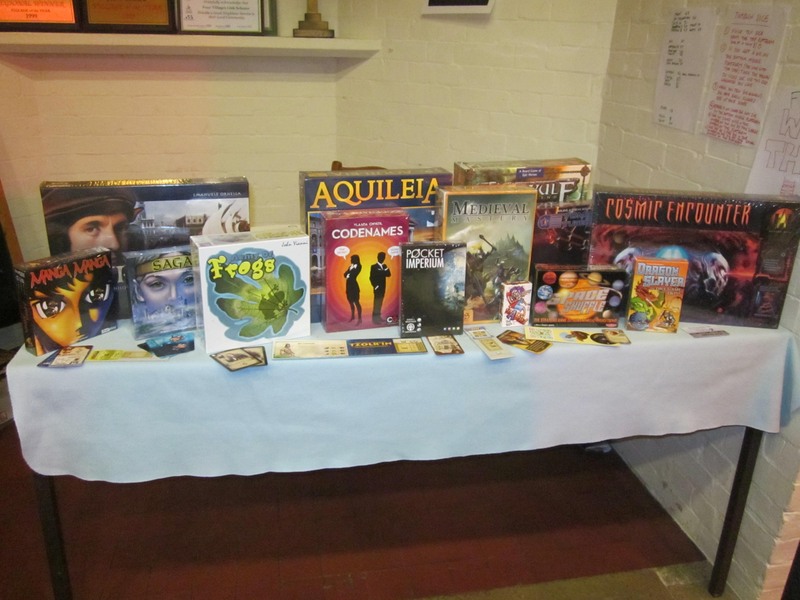 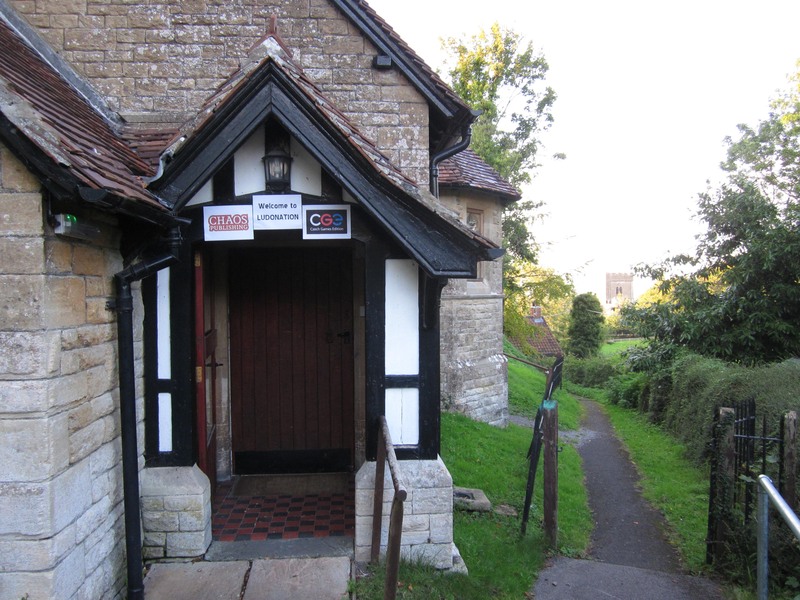 The Parish Hall - ready to host dozens of enthusiastic gamers. 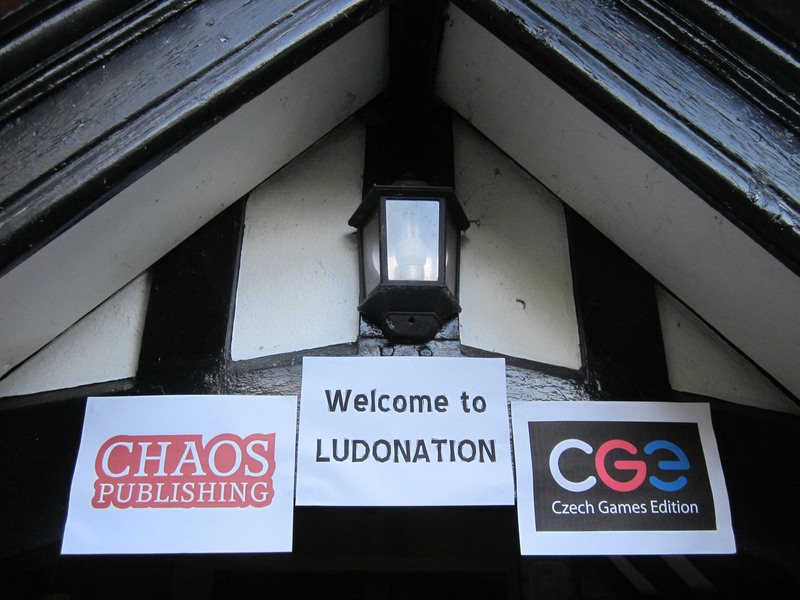 Ludonation - Sponsored by Chaos Publishing and Czech Games Edition. 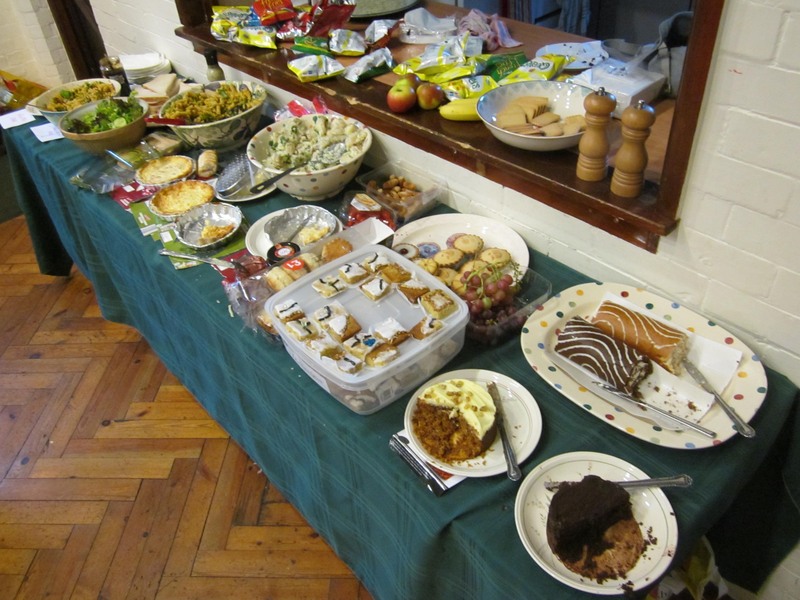 The view from the serving hatch - a sight familiar to Mike, Cathy, Hattie and Kev. 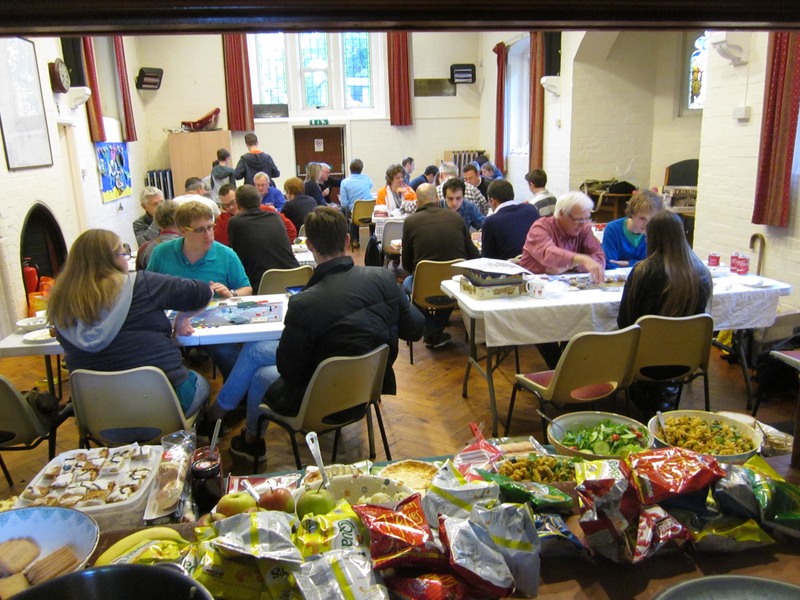 Thank you to everyone that helped out with the food. 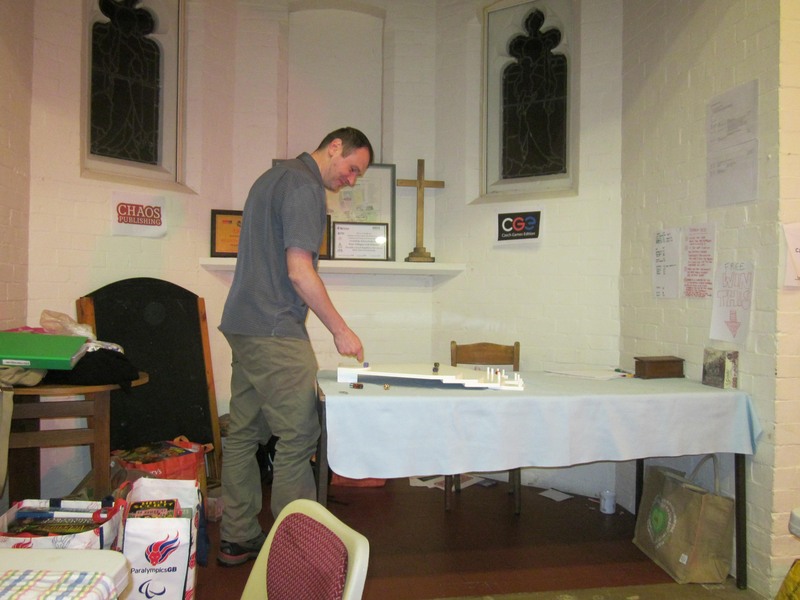 Special thanks go to Cathy for providing cans of drink and Carcassonne cakes. 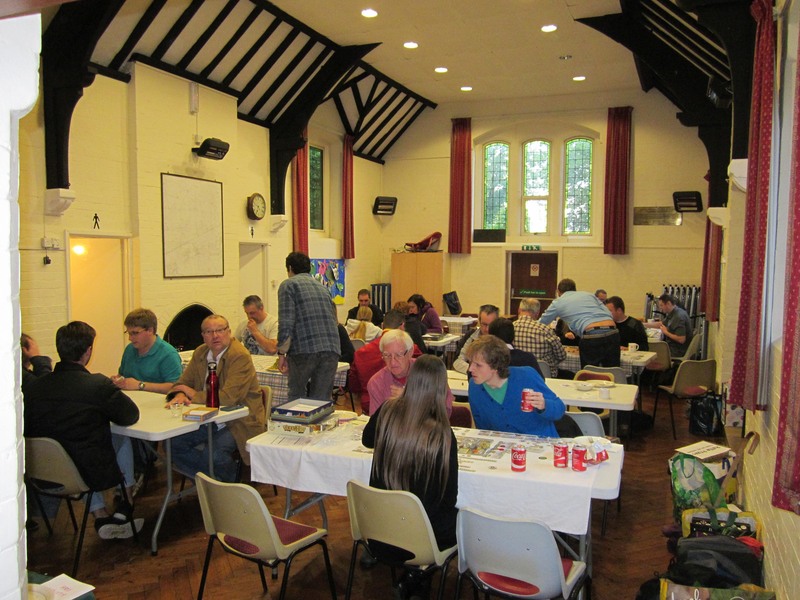 Big thanks to everyone (all 39 of you) that attended and helped make the event a success! 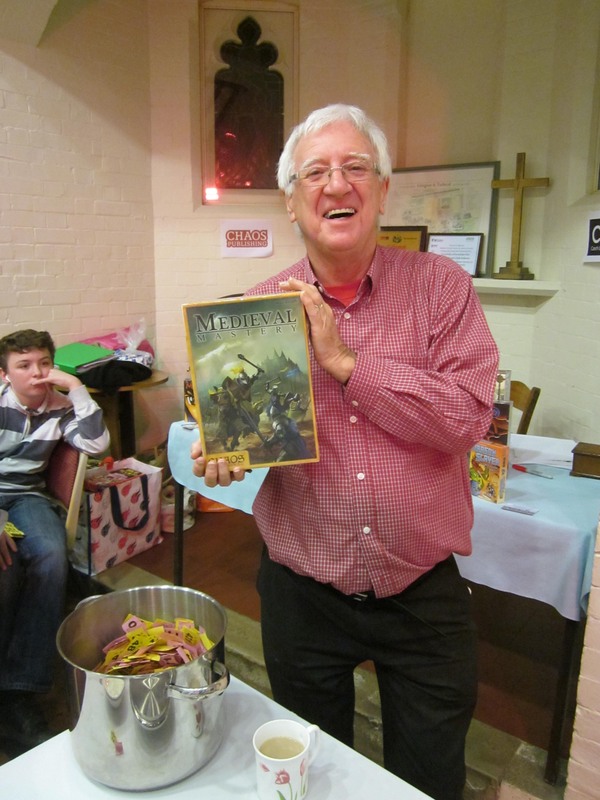 ...for providing these fantastic raffle prizes! 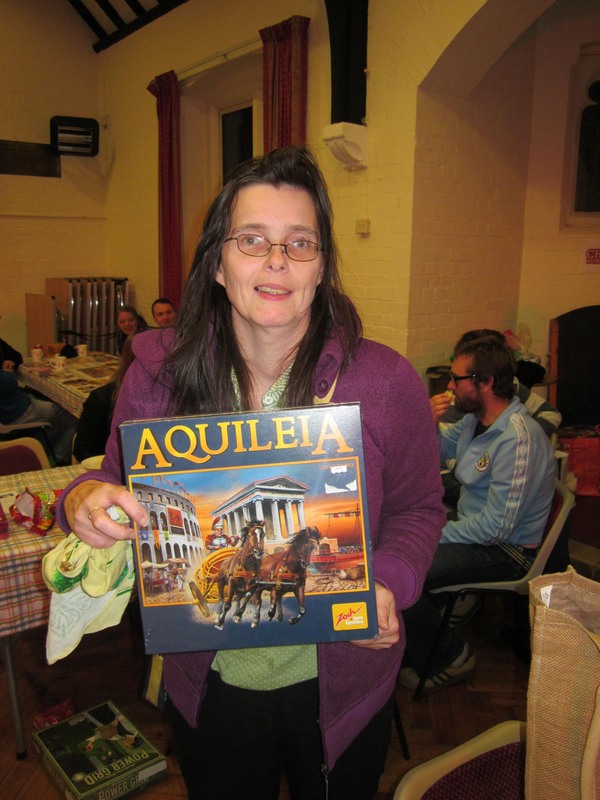 Raffle Winners - Cathy chose Aquileia, Kevin accepted Codenames on behalf of David Mortimer. 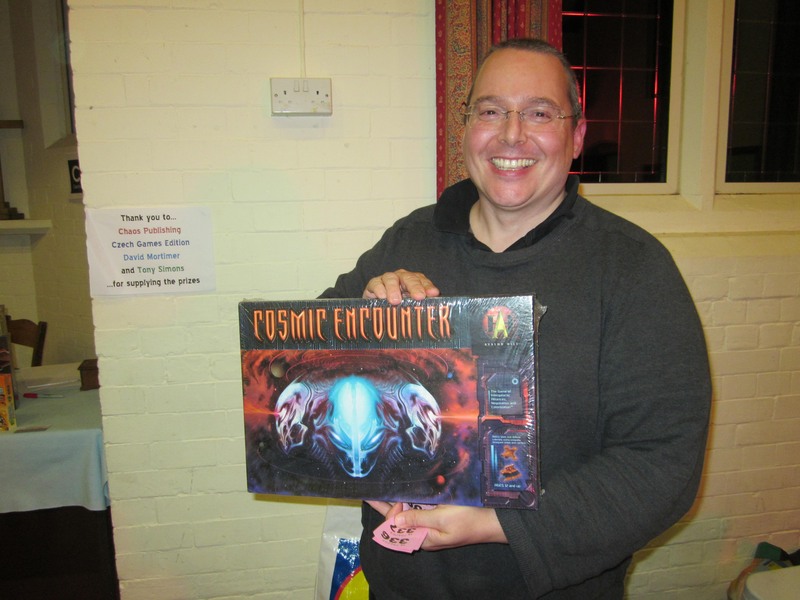 Allister - very happy to take home Cosmic Encounter. 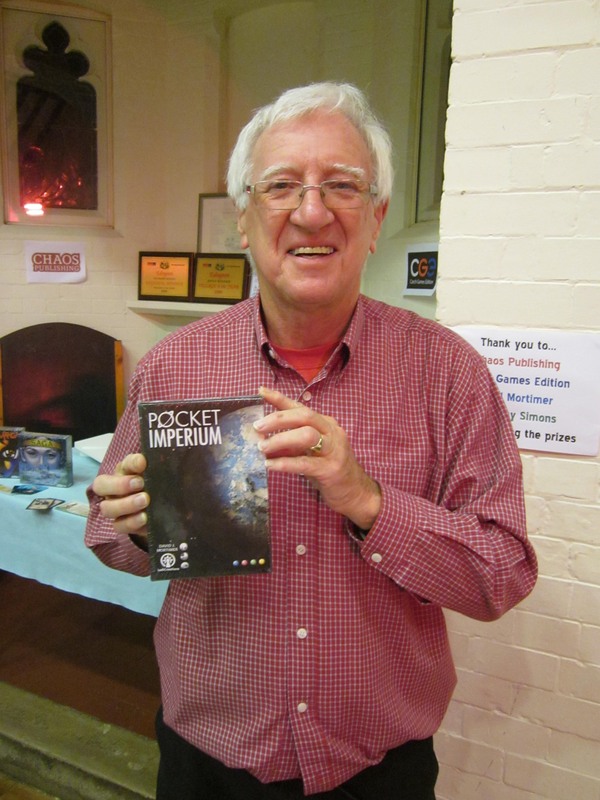 and Mike actually winning something (Dave Mortimer's excellent Pocket Imperium). 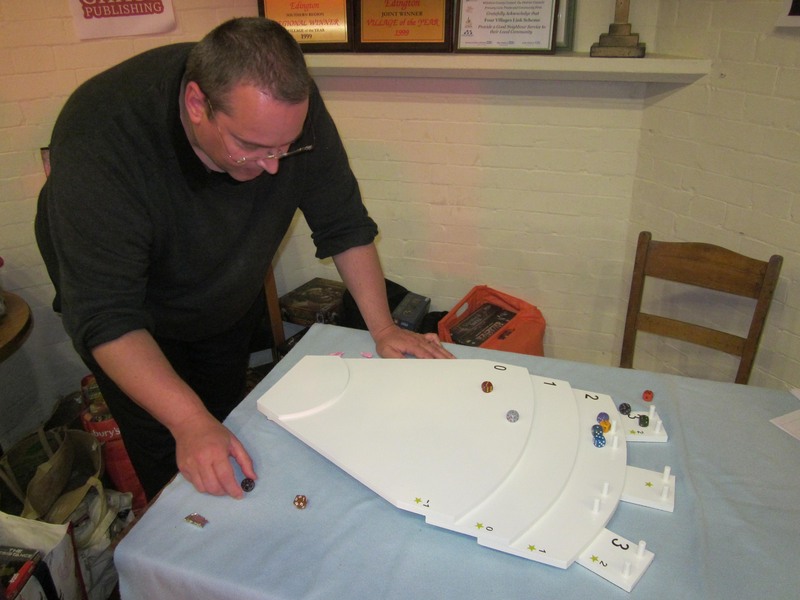 Jon trying his hand at the Tumblin' Dice Challenge. 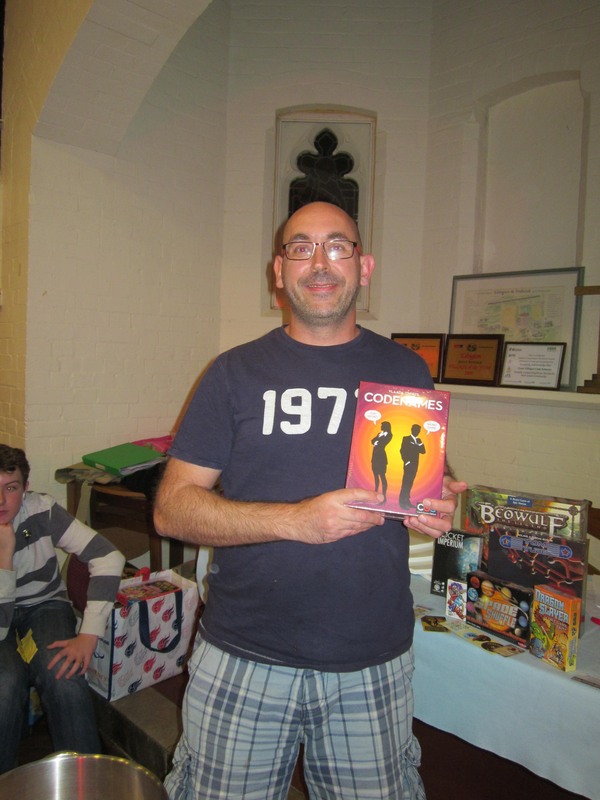 but it was Jenny who finished top of the leader board to win a copy of 'The Grizzled'. 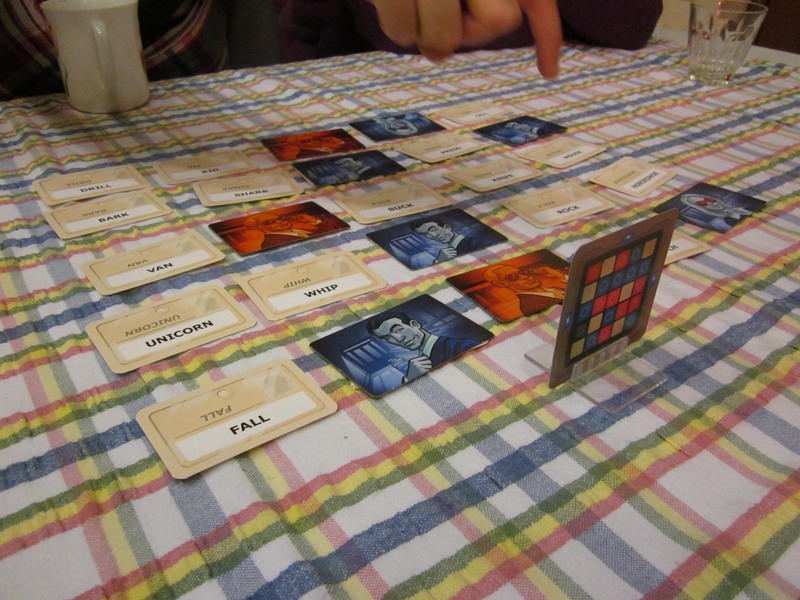 Codenames - just one of the many great games that got played during the day. 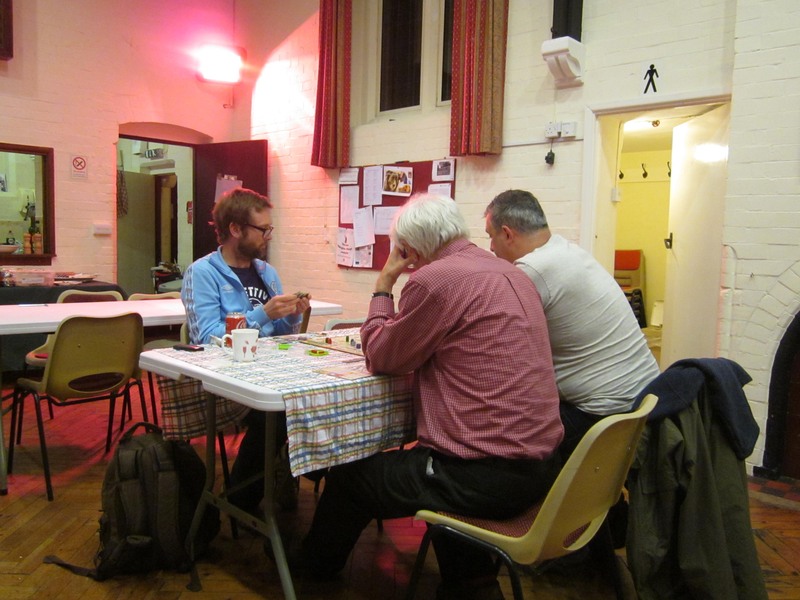 Playing late into the evening - Brig, Mike and Tony.